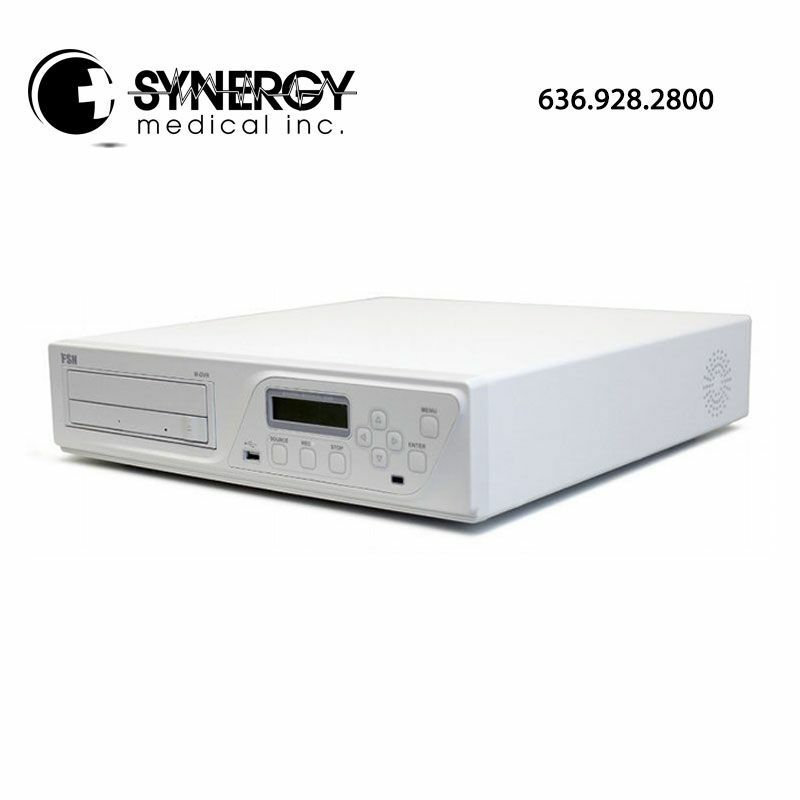 The IPS700A medical video recorder from FSN Medical Technologies is a medical video device that captures still images or records medical video in the surgical environment. Recording medical digital video is easy with FSN Medical’s MDVR. An accompanying control tablet runs the intuitive user interface and gives quick access to options for setup, recording, image capture, file storage, patient information, play back, and data backup functions. Medical Image Capture and medical video recording can also be controlled through endoscopic camera head buttons or a foot pedal accessory. The 1 terabyte internal hard drive is where all recorded or captured image files are sent, where they are stored on the MDVR. These files can then be played back on a display monitor, or restored to a variety of media including external drives, memory sticks, DVDs, Blu‐ray disks, and network servers. MDVR inputs correspond with universal standards that accept VGA, DVI‐D (up to 1920×1080 resolution), composite video, and S‐video connections.